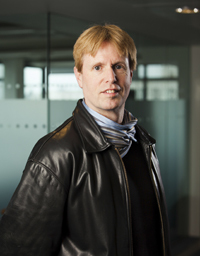 Chris Berry is Professor of Film Studies at King's College London. He is especially interested in queer screen cultures in East Asia; mediatized public space in East Asian cities; and national and transnational screen cultures in East Asia. Together with John Erni, Peter Jackson, and Helen Leung, he edits the Queer Asia book series for Hong Kong University Press. Prior to his current appointment, he taught at La Trobe University in Melbourne, The University of California, Berkeley, and Goldsmiths, University of London. Primary publications include: (with Mary Farquhar) Cinema and the National: China on Screen (Columbia University Press and Hong Kong University Press, 2006); Postsocialist Cinema in Post-Mao China: the Cultural Revolution after the Cultural Revolution (New York: Routledge, 2004); (ed.) Chinese Cinema, 4 vols, (London: Routledge, 2012); (edited with Janet Harbord and Rachel Moore), Public Space, Media Space (Basingstoke: Palgrave Macmillan, 2013); (edited with Lu Xinyu and Lisa Rofel), The New Chinese Documentary Film Movement: For the Public Record (Hong Kong: Hong Kong University Press, 2010); (edited with Kim Soyoung and Lynn Spigel), Electronic Elsewheres: Media, Technology, and Social Space (Minneapolis: University of Minnesota Press, 2010); (edited with Nicola Liscutin and Jonathan D. Mackintosh), Cultural Studies and Cultural Industries in Northeast Asia: What a Difference a Region Makes (Hong Kong: Hong Kong University Press, 2009); (edited with Ying Zhu) TV China (Indiana University Press, 2008); (editor) Chinese Films in Focus II (British Film Institute, 2008); and (edited with Feii Lu) Island on the Edge: Taiwan New Cinema and After (Hong Kong: Hong Kong University Press, 2005). 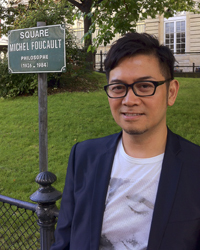 John Nguyet Erni is Chair Professor in Humanities and Head of the Department of Humanities and Creative Writing at Hong Kong Baptist University. He has published widely on international and Asia-based cultural studies, human rights legal criticism, Chinese consumption of transnational culture, gender and sexuality in media culture, youth popular consumption in Hong Kong and Asia, and critical public health. In 2016 he is completed a book project on the legal modernity of rights. 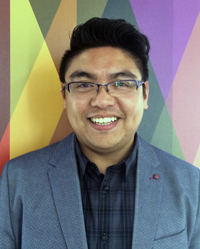 Dr Caluya is Lecturer in Cultural Studies in the School of Culture and Communication. His research and teaching focuses on everyday culture and politics, Asian diasporas and the intersections of gender, sexuality and race. His current ARC-funded DECRA project examines the way intimacy is used to manage Muslim citizenship in Western democracies. He has previously served in multiple community and art organisations. Dr Ho received his PhD in Humanities and Creative Writing from Hong Kong Baptist University. He was previously Programme Leader of Cultural Studies and Communication Programme at the Community College at Lingnan University. He is presently a Research Assistant Professor of the Department of Humanities and Creative Writing in the Hong Kong Baptist University. His research interests include museum and museology, aesthetics and art theory, cultural policy studies, creative economies and cultural industries, and popular culture. His teaching areas include aesthetics and art theory;, cultural studies, visual studies, cultural policy studies, museum studies and museology. Dr Dan Edwards is an Honorary in the Melbourne Graduate School of Education at The University of Melbourne. He graduated with his PhD in Film and Television from Monash University in December 2014, and had taught Asian Cinema at The University of Melbourne since 2013. His debut monograph, Independent Chinese Documentary: Alternative Visions, Alternative Publics, was published by Edinburgh University Press in May 2015. 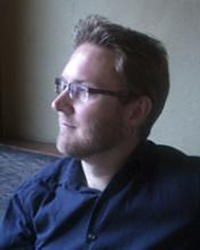 His research interests include documentary networks in East Asia, digital activism and Australian cinema. He has published academic articles in the Journal of Chinese Cinemas, Senses of Cinema and Studies in Documentary Film, and journalism in The Age, Sydney Morning Herald, RealTime, and New Matilda. 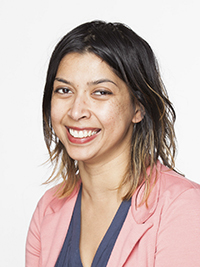 Rimi Khan is a Research Fellow with the Research Unit in Public Cultures at The University of Melbourne. Her current interests include arts and multiculturalism, cultural policy and ethical fashion. She received her PhD in Cultural Studies at The University of Melbourne in 2011 and has been involved in a research partnership with a number of government agencies examining cultural participation and everyday citizenship. In 2015 she published a book, Art in Community: The Provisional Citizen, with Palgrave MacMillan. She has also published articles in numerous journals including The International Journal of Cultural Policy, Journal of Sociology, and Journal of Intercultural Studies. She currently teaches subjects on cultural policy and cultural complexity. Yuen's key research interest is in gender and sexuality in contemporary Japan, with a particular focus on popular representations and the lived experiences of gender/sexual non-conforming people. She is interested in exploring the emergence and proliferation of Japanese (and more broadly, Asian) queer subjectivities with the aim of both interrogating structures of power and difference in Japan, as well as de-centering the hegemony of 'western' queer cultures/models. Her PhD dissertation, which was recently completed in 2015 at the School of Culture and Communication, The University of Melbourne, archives the cultural history of Female-to-Male transpeople in present-day Japan. 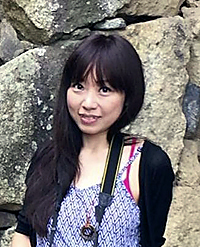 As part of her continuing effort to account for trans lives in Japan, Yuen will be examining the (trans)national border-crossing practices of Japanese transpeople in her post-doctoral project, which will be undertaken at the Centre for Gender Studies at the International Christian University (Tokyo). Yuen is also a faculty member of the Department of Japanese Studies at the National University of Singapore. 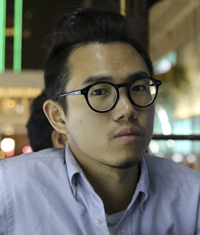 Daren Leung has completed his MPhil thesis entitled as Feelings and the Racial Other: Race, Affect and Representation on Hong Kong Television at Hong Kong Baptist University, in 2015. His work was published separately as book chapters under the titles of "Sugarcoated Racism: Managing Racialized Anxieties in Hong Kong Television Drama" (2016), and "Role Portrayals: Lead, Supporting, and Minor" (2016). 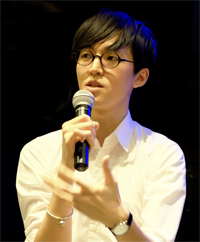 In addition to his academic work, Leung is also an amateur photographer as well as a blogger who specifically pays attention to races issue in Hong Kong (www.ethnicityhk.com) and has long been active in social movement since his undergraduate study in Lingnan University (eg a former committee of Hong Kong Federation of Students 2011/12). Thus, the research interest of Leung's further investigation will shift to an ethnographic project that stems from his intellectual and social concern for the study of the transformation of cultural citizenship through various forms of youth civic participation in postcolonial Hong Kong. In particular, this study examines three forms of participation that are initiated and driven by Hong Kong youth subjects, including the forms of community-based interventionism, ethics-based mobilisation, and care-based volunteerism. 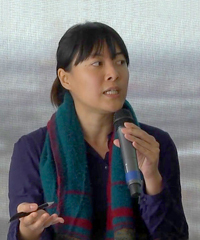 Dr Sylvia Ang is a migration scholar and PhD graduate in the Development Studies program at the School of Social and Political Sciences at The University of Melbourne. She has a Masters in Development Studies from the same university and a Bachelor of Arts (Political Science) from the National University of Singapore. Her PhD thesis investigated the contestation of social imaginaries of Chinese-ness among the state, migrants and locals in Singapore. In particular, she is interested in how migrants and locals negotiate state discourses and in the production of difference among locals and migrants. Her interests include migration, race, racism, development studies and anthropology. She has presented papers at various national and international conferences including the Race, Mobility and Imperial Networks Conference 2015, the Asian Cultural Research Network Symposium 2015,The 9th International Convention of Asian Scholars 2015, Migrant Cross-Cultural Encounters: A Multidisciplinary Conference 2014 and the combined ASAANZ/AAS Conference 2014 "Cosmopolitan Anthropologies" 2014. She also has extensive experience as a tutor and teaching assistant in various courses including Development Studies and Social Research and Design. Dr Ang has commenced a two-year appointment as a Postdoctoral Fellow in the Asian Migration cluster at the National University of Singapore with effect from 2 July 2018. Ang, Sylvia (2017) "The "new Chinatown": the racialization of newly arrived Chinese migrants in Singapore," in Journal of Ethnic and Migration Studies, 1-18.